It’s no secret that wearing the right clothes can help boost self-confidence. 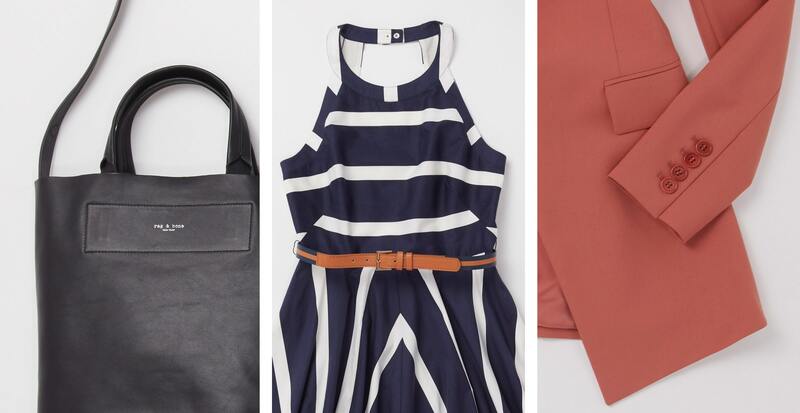 An outfit that makes you feel great is important—especially in the workplace. In fact, studies* show that feeling confident is the number one step to getting ahead in your career. If your office dress code is business-casual, you have a little more wiggle room for putting together stylish looks that are comfortable yet professional. And since nine out of ten Americans follow the adage about dressing for the job they want, we’re sharing some weekday outfit inspiration to help you dress like the boss you were meant to be. If slacks and a top are your go-to, choose of-the-moment styles to keep your look modern. Straight-leg trousers updated with cinched waist detailing are sleek and figure-flattering, especially when paired with a feminine lace-detailed blouse. If you’re craving color, opt for a power blazer in your favorite shade, crisp white ankle pants, and a patterned blouse with complementary hues to bring it all together. Then pair your mixed separates with metallic shoes for a look that is striking without being over the top. If your workwear is starting to feel a little stale, it’s time to get creative. Choose a waist-defining dress in a bold print, then add a cardigan in a contrasting pattern to elevate the look. Just be sure to keep your bag and shoes simple to ensure your outfit remains office-appropriate. * A study of 2,000 Americans who define themselves as having successful careers, conducted by OnePoll in conjunction with Trunk Club.